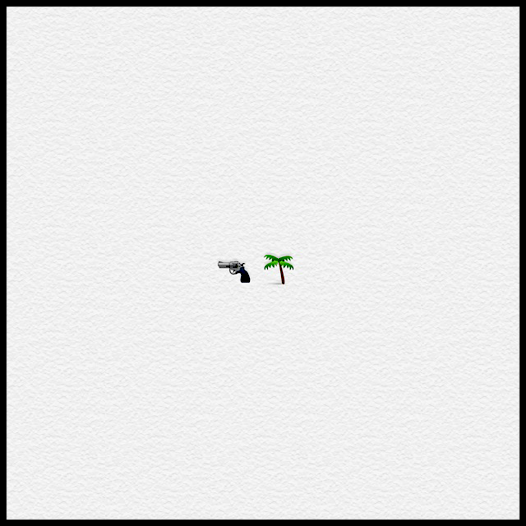 Official Kill Paradise Website - E.P. "Cover Your Eyes" Out Now! January 12th, 2019 - Sold Out! Click Here For A Free Download of "Let It Go (Acoustic)" *offer expired, sorry! 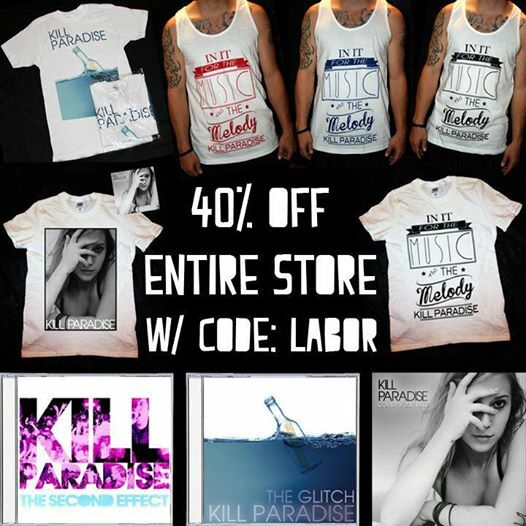 Now - Sept. 1st enjoy 40% OFF of your ENTIRE ORDER @ Shop.KillParadiseMusic.com! Just enter the code: LABOR during checkout! Score one of these beauties before they are gone! Limited supply, printed on American Apparel standard tanks. KP @ The Black Sheep in Colorado Springs July 24th! We just finished an acoustic version of "Let It Go" and hope you'll love it! Want to help us promote in your city for our tour? 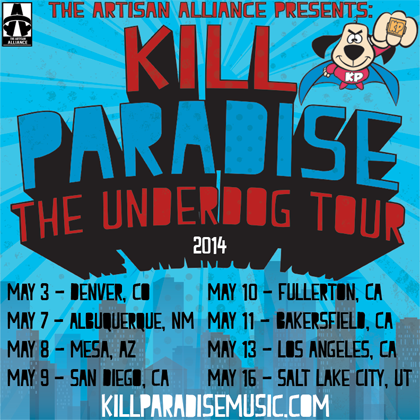 We'll send you posters, flyers, and other KP goodies! Send an e-mail to killparadise@radiooff.net or message us on our FB page to join the team. 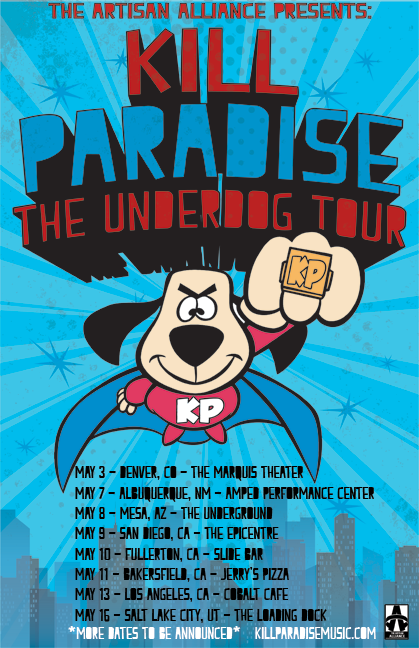 Tour Announcement: THE UNDERDOG TOUR! 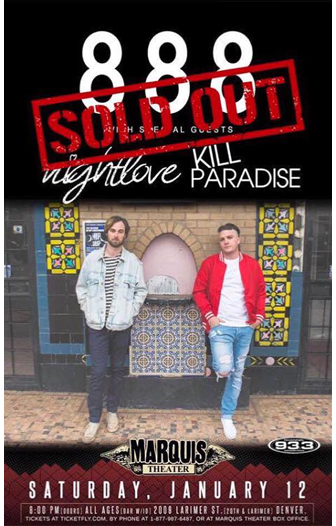 Kill Paradise @ The Moon Room TONIGHT! 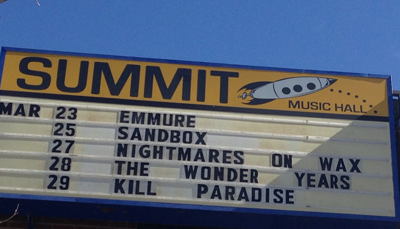 Our show in Denver is TONIGHT!! Get tickets here. See you tonight!! 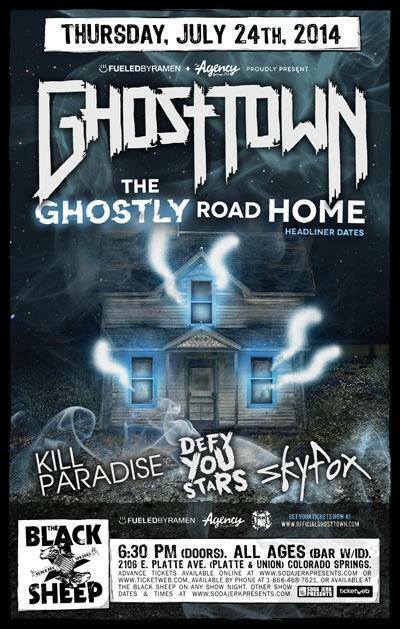 Kill Paradise @ The Moon Room March 29th! Saturday, March 29th we will be headlining in Denver with our friends Bleach Blonde & Almost, Maine! This show is ALL AGES! 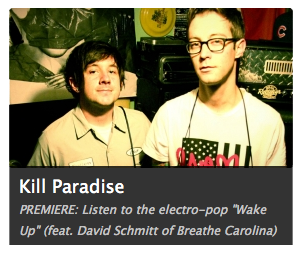 Tonight we'll be performing acoustic online over at http://younow.com/killparadise! 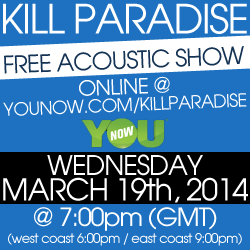 Next Wednesday (March 19th), we will be playing a free acoustic show online over at younow.com/killparadise! We start at 7:00pm GMT and will be on for an hour. Come hang, chat and post some questions for us, and watch us play acoustic! See you there. Update: The acoustic performance/chat has been rescheduled for next wednesday. 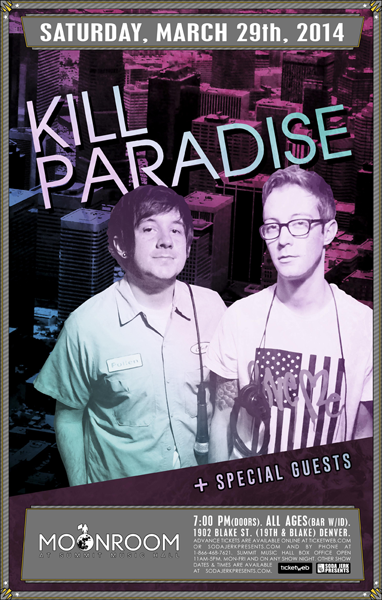 This Thursday (March 13th), we will be playing a free acoustic show online over at younow.com/killparadise! We start at 7:00pm GMT and will be on for an hour. Come hang, chat and post some questions for us, and watch us play acoustic! See you there.